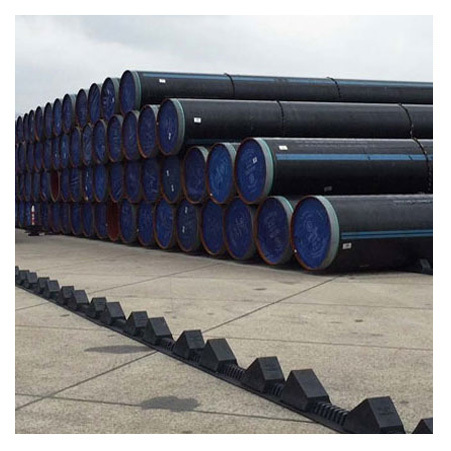 ﻿ API 5L Gr B Seamless Pipe, API 5L Gr B Carbon Steel Seamless Pipes Exporter. API 5L Gr.B Line Pipes, API 5L Grade B Carbon Steel Seamless Pipe, API 5L Grade B Seamless Pipe Manufacturer, API 5L grade B Line Pipe, Carbon Steel API 5L Gr B Pipe Exporter, API 5L Gr B Pipe Supplier in Mumbai, India. Are you thinking of buying SMLS pipe or seamless pipe? If the answer is yes, then we would recommend you choose API 5L GR B SEAMLESS PIPE and to buy it, you can choose Amco Metals rather than other dealers. In this article, we will let you know about this seamless pipe and their great uses within various industrial applications. It is easy to weld and fabricate. It is suitable for use in pipeline transportation system, natural gas as well as petroleum industries. This seamless pipe is also being sold out in upgraded versions, like spiral welded pipes and ERW welded pipes. This is very high in demand in the worldwide engineering industry. It can be purchased in diverse lengths and sizes or as per your needs. 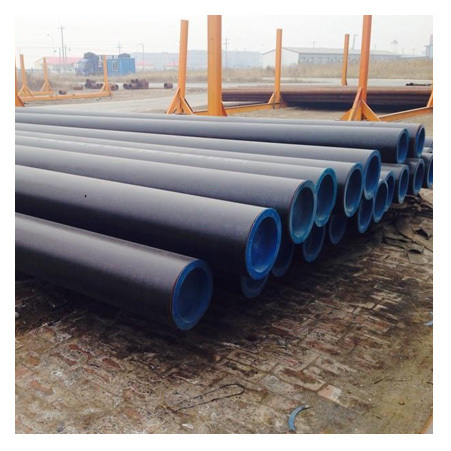 We are designing this seamless pipe in such a way that it can meet all the international quality standard and safety. Also, our experts use the high-quality raw materials and modern machinery in order to give it a proper structure and even to fulfill the needs of every customer. After completing the manufacturing, it is thrown in the labs and where it goes through a different test like radiography, a mechanical property test, third-party inspection, chemical testing, macro test, flaring test, and so on. And After making sure its high quality, it is put for being packed by an expert’s hand. API 5L GR B SMLS PIPE is packed in different kinds of packaging materials like cartons, wooden boxes and else to prevent form dusting and corrosion while carrying. 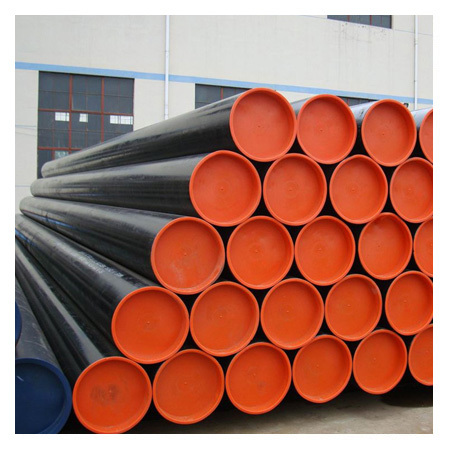 API 5L Carbon Steel Grade B Seamless Pipe, Carbon Steel API 5L Gr B Seamless Pipes, API 5L Gr B PSL 1 Pipe Manufacturer, API 5L Gr.B PSL 2 Seamless Carbon Steel Pipe Supplier in India. Dimensions : All Pipe is manufactured and inspected/tested to the relevant standards including ASTM, ASME, API. Additional Testing : NACE MR0175, NACE TM0177, NACE TM0284, HIC TEST, SSC TEST, H2 SERVICE, IBR, etc. Chile, Canada, Bolivia, Bulgaria, Bhutan, Jordan, Sweden, Netherlands, Croatia, Israel, Oman, Lebanon, Austria, Gabon, China, Zimbabwe, Portugal, Namibia, India, Nigeria, Germany, Mongolia, Switzerland, Ghana, Mexico, Italy, Slovakia, Trinidad & Tobago,Tunisia, Saudi Arabia, Vietnam, South Korea, Serbia, Morocco, Algeria, Kenya, Argentina, Czech Republic, Tibet, Thailand, Estonia, Peru, Kuwait, Yemen, Poland, South Africa, Brazil, Egypt, Kazakhstan, Nepal, United States, Colombia, Qatar, Ukraine, Belgium, Hong Kong, Azerbaijan, Iraq, Gambia, Bahrain, Ireland, Malaysia, Nigeria, Afghanistan, Spain, Iran, Bangladesh, Lithuania, Libya, Venezuela, Philippines, Poland, Macau, Taiwan, Turkey, Chile, Romania, Mexico, Singapore, Belarus, Pakistan, Japan, Iran, Hungary, United Arab Emirates, Sri Lanka, France, Finland, Australia, Costa Rica, New Zealand, Norway, Russia, Greece, Denmark, Indonesia, Puerto Rico, Ecuador, Angola, United Kingdom. Ulsan, Los Angeles, Moscow, Jamshedpur, Ranchi, Petaling Jaya, Bogota, Riyadh, Secunderabad, Chandigarh, Toronto, Melbourne, Bhopal, Milan, Kuwait City, Istanbul, Thane, Kanpur, Pimpri-Chinchwad, New Delhi, Ernakulam, Cairo, Seoul, Santiago, Gimhae-si, Dallas, Granada, Manama, Ankara, Hanoi, Atyrau, Nagpur, Abu Dhabi, Madrid, Surat, Colombo, Doha, London, Jakarta, Haryana, Busan, Ahmedabad, Hong Kong, Singapore, La Victoria, Jaipur, Indore, Bengaluru, Thiruvananthapuram, Perth, Geoje-si, Chiyoda, Aberdeen, Lahore, Rajkot, Dammam, Vadodara, Noida, Ahvaz, Dubai, Vung Tau, Kuala Lumpur, Rio de Janeiro, Bangkok, Baroda, Nashik, Faridabad, Visakhapatnam, Hyderabad, Edmonton, Ho Chi Minh City, Calgary, Mexico City, Algiers, New York, Port-of-Spain, Brisbane, Mumbai, Chennai, Caracas, Courbevoie, Ludhiana, Tehran, Gurgaon, Jeddah, Lagos, Houston, Al Jubail, Howrah, Navi Mumbai, Muscat, Sydney, Kolkata, Karachi, Coimbatore, Sharjah, Al Khobar, Montreal, Pune.